You might recall that Reese Witherspoon is the latest star to jump aboard the lifestyle-site bandwagon, with the recently launched Draper James. And according to a story in WWD, the site is doing really well for having just started; on its first day, it pulled in 160,000 unique visitors and sold out of a few select items. But the best-selling item, according to WWD, is still available—it's a $155 tote that pays cheeky homage to Reese's Southern heritage. 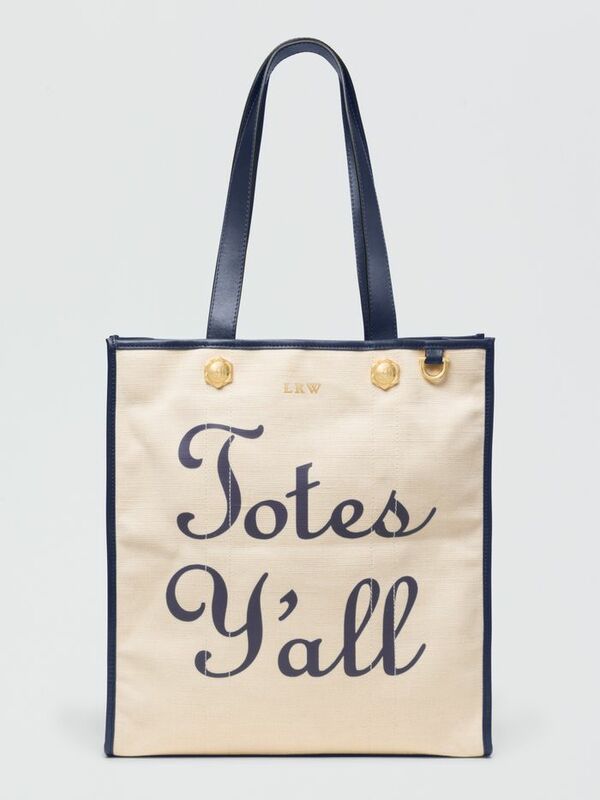 Reading "Totes Y'all," the canvas bag can also be personalised to your taste. Keep scrolling to see the best-selling bag on Reese Witherspoon's new site, Draper James! Do you think you'll buy one? Tell us below!